I hope you all had a lovely week, I for one certainly did! Mainly because I spend Saturday in the wonderful Devonshire town of Bovey Tracey at the eagerly anticipated Nourish Festival. A festival I visited last year before i'd set up my little business to simply eat amazing food and buy beautiful craft. This year I was lucky enough to exhibit there myself with my knitted goodies and what fun I had. I wanted to introduce you to a few of my favourite makers from the day (unless you've already met them in which case I'm going to remind you of how fabulous they are!) As you can imagine, It was so hard to choose as the standard was so high but these are the ones I can't resist and want to fill my home/jewellery box with all of their makes! Corrinnes work is all just sooo beautiful. Her Twill collection of silver, gold and titanium links are stunning they have a beautiful fluididty and the colour change is really striking. Her Dream Catcher range is just fab! With it's fantastic bright colours, semi precious stones and the architecture of them means you can spin the stones round (I've been doing this a lot; it's oddly satisfying!) they are irresistible! Another of my favourites (there were so many!) was the gorgeous Lucy from The Cat in the Shoe. 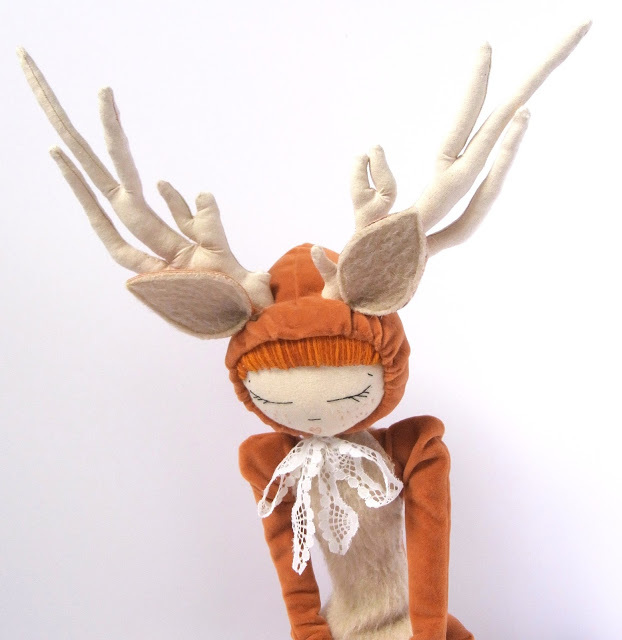 Her Soft Sculptures or 'Curiosities' (perfect name for them!) are such characterful works of art. I am completely in love with them and cannot decide which one I love the most! Her table at Nourish looked like a scene from a delightful children's book or magical movie. There was a sea of shy, smiling faces with rosy cheeks peering up that I fell head over heels for. Lucy uses all different types of fabrics that have had a previous life - "an old jumper, a unloved leather jacket, a scrap of lace and an offset of felt". She told me that she lets the fabric dictate what it will become. She finely hand stitches each piece into its new form and brings to life her beautiful Curiosities "stuffed, stitched and embellished by hand and machine"
And my final pick for this post is the amazingly talented Gwen Vaughan. Her contemporary ceramic animals make me feel spoilt for choice and panicked with the rush of wanting to own them all at the same time. The splashes of colour add a delightful quirk to her work and the gold dots and finishes on her recent work makes them even more delightful in my opinion! I mean really, how happy does this guy and his big belly make you? 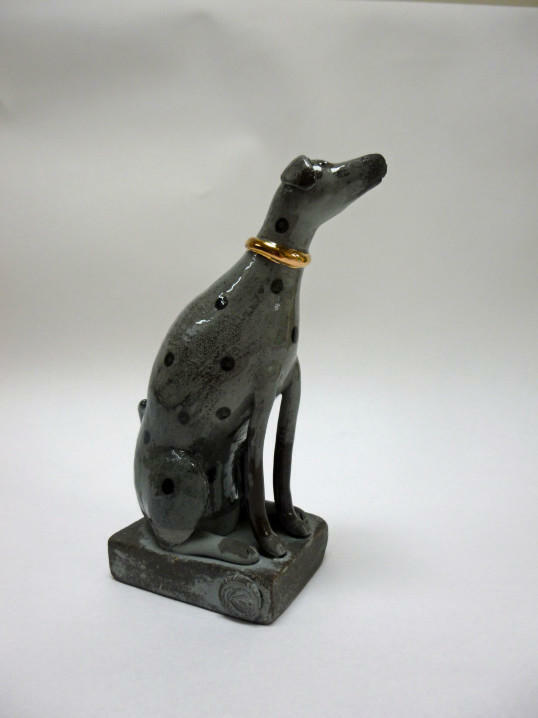 Gwen uses a black clay, and creates a finish inspired by slate or stone. She uses washes of coloured slip as a contrast against the black of the clay and to emphasis the texture and details. Anything with gold on it is a winner in my books but on my wish list is her polar bear and doggy. And with a special shout out to all the other makers, particularly my lovely friends Tracey from Bentons Menagerie and Rachael from Grace and Favour Home were both there enticing me. And new friends including Teresa from Willapark Designs & Sam Pickard who both had me 'ooo'ing and 'ahhhh'ing at the delights on their tables all day. So I'm sure you can see why I come home spending more that I earn at most shows! How could I resist when i'm faced with such beautiful things?! Thats all for this week, I'm going to go and recover from the fun and nurse my show injury (there's always one) this one is particularly ridiculous ....I slipped and sliced my wrist on the cello tape dispenser. *cringe* Then in an attempt to appear cool and casual had to go to the organisers and ask for their first aid kit so I could stop the bleeding. Now THATS a craft injury! haha oh dear me. P.S Here's the sign up box. You know what to do.